This entry was posted in Job Seekers, Students on March 29, 2012 by Idaho Department of Labor. Idaho’s youngest workers – those age 14 to 18 years old – bore the brunt of the downturn while Idaho’s older workers appeared to hold their own according to statistics from the U.S. Census Bureau. Turnover among teen workers remained high through the recession although the rate of turnover eased as young workers held on to their jobs as employment openings dwindled. Workers age 55 and older started retiring at a faster pace through the recession. 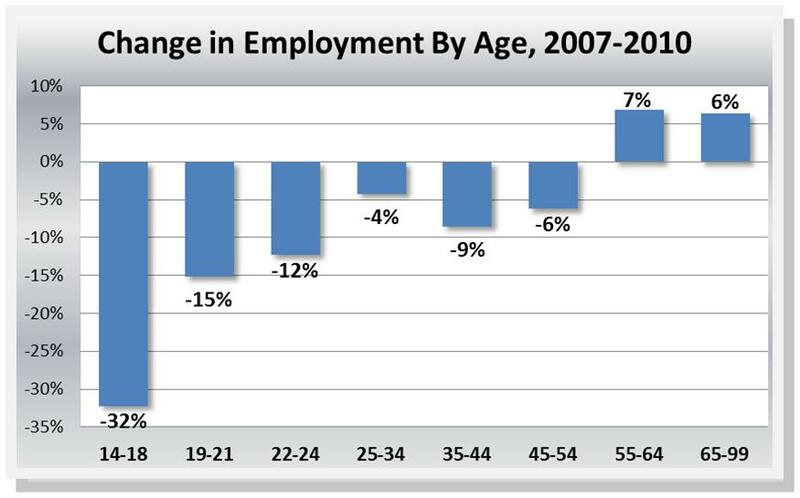 From 2007 to 2010, more firms lost workers in that age group than in any other. This entry was posted in Employers, Job Seekers and tagged impact of the recession, older workers, turnover among teens, younger workers on March 28, 2012 by Idaho Department of Labor. Careers in computer science are among the hottest Idaho jobs, according to long-term projections by the Idaho Department of Labor. Computer occupations have grown since 2005 in Idaho, despite the drag of the recession, and the department projects continued growth in that industry through 2018. 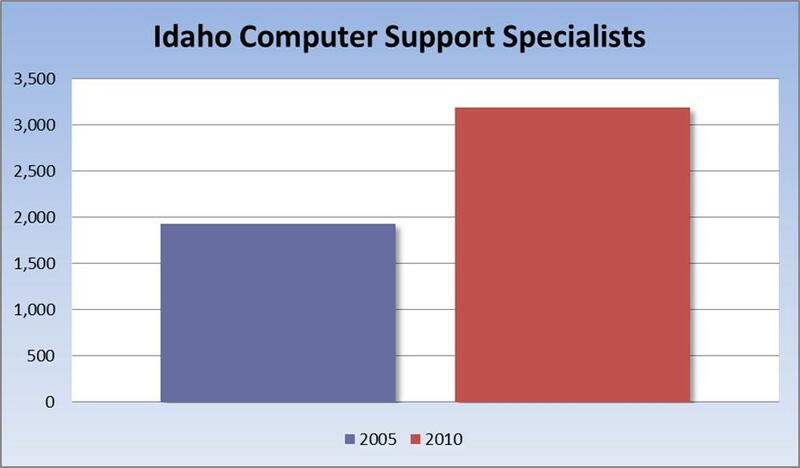 In 2005 there were 1,930 workers employed as computer support specialists in Idaho. By 2010 that number had jumped to 3,190, a 60.5 percent increase – an impressive growth rate considering it took place during the heart of one of the state’s worst economic downturns. But while the number of computer support specialists was rising, their paychecks were shrinking. According to the U.S. Bureau of Labor Statistics, the average annual wage for a computer support specialist was $39,680 in 2005. By 2010, the average wage had fallen to $39,330. Still, training to become a computer support specialist may represent a good career prospect in high technology. The Idaho Department of Labor’s Career Information System shows computer support specialists remaining in very high demand with job opportunities growing. The preparation is not especially lengthy for entry into a high-tech field. The U.S. Bureau of Labor Statistics estimates that 59 percent of computer support specialists nationwide have less than a four-year degree, and 43 per- cent have less than an associate degree. This entry was posted in Job Seekers on March 23, 2012 by Idaho Department of Labor. This entry was posted in Job Seekers on March 20, 2012 by Idaho Department of Labor. This entry was posted in Students on March 15, 2012 by Idaho Department of Labor. This entry was posted in Job Seekers, Students on March 15, 2012 by Idaho Department of Labor. This entry was posted in Employers on March 9, 2012 by Idaho Department of Labor. This entry was posted in Students on March 9, 2012 by Idaho Department of Labor. 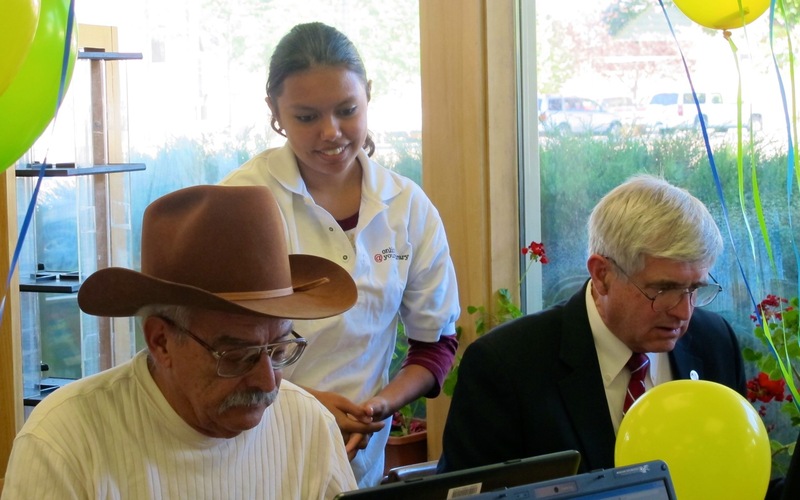 Idaho Youth Corps coach Jesseca Alvarado points out new online resources to Omar Alvarez and Mayor Terry Greenman at the Burley Public Library. When a dozen teenagers went into Idaho libraries last summer to help people navigate the world of computers, they so impressed the librarians that now they want 30 young people to serve as digital literacy coaches this summer. Preliminary BLS figures released earlier this year for 2011 show the unemployment rate for Idaho teenagers last year as high as 29.9 percent and while the economy appears to be on the road to recovery, state officials say the prospects are not much better than last year for young people in a labor market still flooded with older, more skilled and experienced workers. That’s why digital literacy coaching jobs and other jobs through the Idaho Department of Labor’s Idaho Youth Corps offer a helping hand to young people, especially those from low-income homes. More than 140 participated last year working not just in libraries but for private businesses, the U.S. Forest Service, state parks, farmers markets, school districts and other organizations.